A new program has been launched which may just be the best one around thanks to the massive savings available for MSC Cruises guests. Guests will get to choose a an experience based on their own preference and amenities desired while cruising. Valued at up to $700+ per person, guests have the option of selecting from four different experience categories – Bella, Fantastica, Aurea, and MSC Yacht Club – ranging from a la carte to all-inclusive amenities. Already introduced in most European markets, MSC Cruises is rolling out the experience pricing in North Americadue to the positive feedback received from guests abroad. Bella Experience – Best Price: The Bella experience is designed for value-conscious travelers looking to enjoy the wide-range of amenities and entertainment MSC Cruises offers to all its guests, while having the option to add additional onboard services, such as beverage or spa packages, a la carte. The Bella experience is available for guests booking interior, ocean view or balcony staterooms. Fantastica Experience – Priority Choice: The Fantastica experience provides guests additional flexibility and comfort options, such as the ability to choose a premium location stateroom and priority choice of early or late dining. Additional benefits in the Fantastica experience include 50 percent off all fitness classes and personal training; free delivery of room service between 6 a.m. – 11 p.m.; and enhanced recreational activities for children including cooking and foreign language classes. As a special promotion, guests who book the Fantastica experience for select 7-night or longer sailings on the MSC Divina in the Caribbean or Mediterranean will also receive a beverage package. This experience is available for guests booking interior, ocean view or balcony staterooms. Aurea Experience – Premium Choice: The Aurea experience bundles several exceptional amenities, including premium choice of balcony staterooms and suites and dining in the main restaurant with “My Choice Dining” flexible times. Additional benefits in the Aurea experience include priority boarding; a beverage package consisting of unlimited alcoholic and non-alcoholic drinks, excluding premium drinks; a spa package with a massage and private spa consultation; access to the exclusive adults only Top 18 sun deck; and all the perks associated with the Fantastica experience. 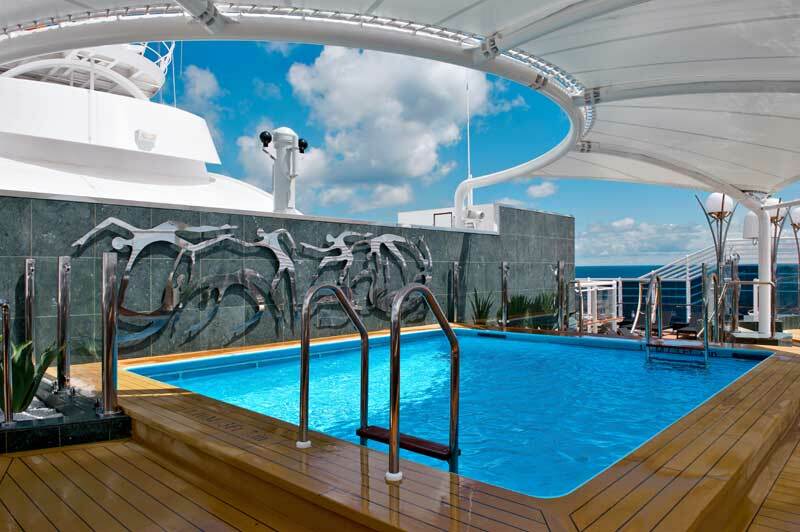 The Aurea experience is available for guests booking Aurea balcony staterooms and suites. MSC Yacht Club – Elite Choice: The MSC Yacht Club is for guests interested in an all-inclusive VIP club level experience. Guests selecting this exclusive experience enjoy a private club with keycard access; priority check-in and check-out reception; signature Butler service; dedicated 24-hour concierge; exclusive Top Sail lounge and pool; 24/7 complimentary alcoholic and non-alcoholic beverages available within the Yacht Club area; and a private MSC Yacht Club restaurant. The new program will boost up bookings for North America especially for people who have never cruised on MSC before.